Dismantled centuries ago, the sword of Goliath is still rumored to thirst for its enemies' blood. Cole "Tox" Russell only wants to begin his life with Haven Cortes, but he must first complete a final mission: retrieve that sword and destroy the deadly Arrow & Flame Order. I couldn't imagine a more epic and emotional conclusion to The Tox Files series! I loved reading about the team members and the new details that emerged about their backstory and what motivates them, especially Ram and his sister Tzi. It's a nail-biter from the start, and the author definitely exhibits why her tagline is "rapid-fire fiction"! Literal nail-biting is the reason why I have to limit the suspense books I read, but it was so worth it. The romance between Cole and Haven bring all the feels, and I loved the connection I felt to their relationship. 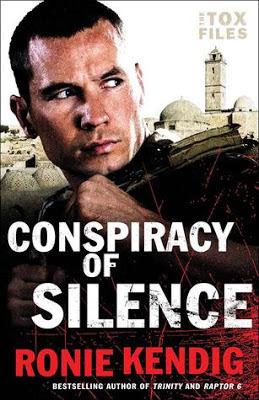 Even with the tension I felt while reading the different perspectives I knew would all weave together, I was caught off guard and surprised by the twists and turns of the plot. I definitely recommend reading all the books in the series in order, as they build on each other with character development. Don't miss this explosive series full of depth, action, and romance! Don't miss the previous books in The Tox Files series . 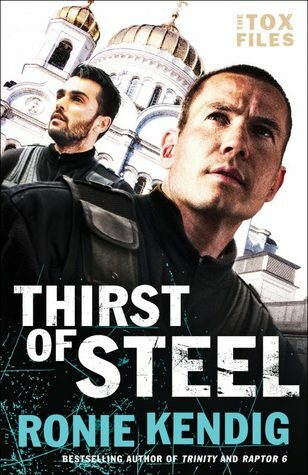 . .
A Special Forces team is thrust into a war with the past to save the president after an artifact unleashes a deadly toxin. 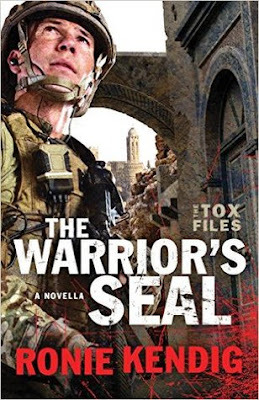 Special Forces operative Cole "Tox" Russell and his team are tasked in a search-and-rescue--the U.S. president has been kidnapped during a goodwill tour. The mission nosedives when an ancient biblical artifact and a deadly toxin wipe out villages. Tox must stop the terrorists and the toxin to save the president. Six months after stopping a deadly plague, Cole "Tox" Russell and his team are enjoying a little rest. That peace is short-lived when a sniper shot hits Tox. 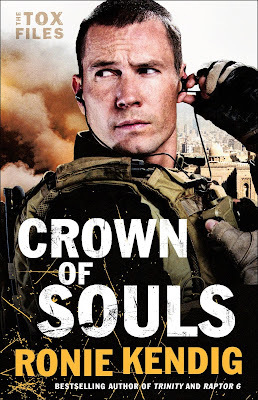 The enemy is discovered to be one of their own, a rogue Special Forces team operator. Alec King is perhaps the only person as skilled as Tox, and he's out for justice. Furious with orders that got his men killed, he intends to make those responsible pay. And he insists Tox join him, believing they are the same breed of soldier. Afraid his old friend is right, Tox battles a growing darkness within himself as he and his team engage in another deadly encounter with antiquity. It appears Alec is cheating--he's using a mysterious artifact, a crown that history has linked to some of the worst slaughters in humanity. Racing to stop Alec before his vengeance is unleashed, Tox must fight the monster without becoming one. After caring for a crotchety countess, Patience Ramsey wants a more purposeful position. So, when Miss Thorn of the Fortune Employment Agency offers her the post of assistant to amateur apothecary Augusta Orwell, Patience jumps at the chance. Then her new employer introduces her at an Easter house party as the bride-to-be of her nephew Sir Harold Orwell. Miss Thorn’s cat Fortune may approve of Sir Harry, but Patience has no interest in borrowing the handsome baronet. She’s had her heart trampled on by false promises before. Sir Harry has enough on his hands trying to restore the family name while spying for the English against the French. But the pretty Patience could cover for him when he must ply his trade during the house party, so he convinces her to agree to the charade. As Harry’s work brings danger closer, he begins to realize Patience embodies everything he could want in a wife. Can he convince her to overlook the scandals surrounding him and exchange their false engagement for a true love? This lovely series continues with Miss Thorn helping another lady of reduced circumstances find a new position and ultimately, the opportunity to fall in love. 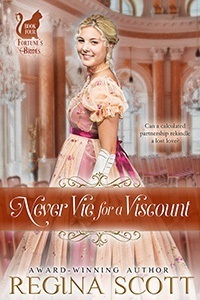 There is a great cast of vibrant characters that made this book such fun to read- Patience, with her up-for-anything attitude; Harry, with his hands full of spies, smugglers, and suspicious guests; Miss Thorn, trying to avoid her childhood sweetheart who is staying in the same house; Augusta, creating concoctions that terrify her guests; Lydia, all too eager to help Augusta and stir things up a bit; Yvette, a French spy with nothing to lose. The fake engagement and other secrets create quite a bit of tension, especially as Patience and Harry begin to grow closer. The weather traps everyone on the property and they have to wait for the water to subside before the guests from the house party can depart, which made the pace drag a bit after the middle of the book. The author did a good job of getting across the feeling of frustration and desperation the characters had from being stuck, and I think I started feeling that too. It picks up again with some action and the climax at the end, and leaves the door open for Miss Thorn to reconcile with her long-lost love. I'm especially looking forward to reading the next books since we were introduced to both characters who will be featured in them, Yvette and Lydia. 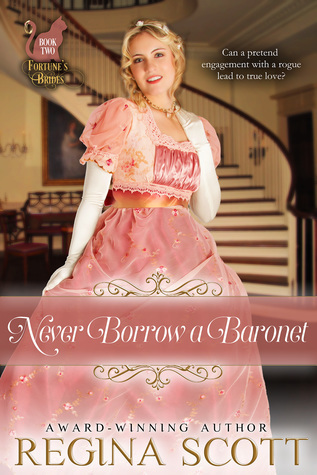 Check out the other books in the Fortune's Brides series . 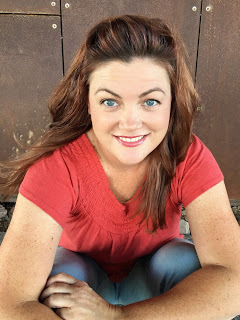 . .
After spending the last ten years following her late husband on campaign, the irrepressible Jane Kimball finds herself badly in need of a position to support herself. Marriage holds no appeal; she’s not likely to find a husband like her Jimmy again. 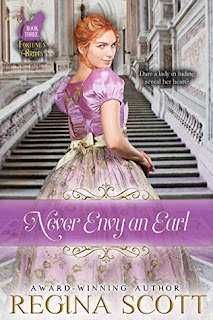 But when Miss Thorn of the Fortune Employment Agency offers her a post with the Duke of Wey, Jane feels drawn to help the lonely widower with his three daughters. He may seem a bit aloof, but Miss Thorn’s cat Fortune approved of him. Why should Jane doubt a duke? Alaric, Duke of Wey, commands his staff, his tenants, and the halls of Parliament, managing vast holdings in England and across the seas. Why is it he cannot manage his own daughters? As an old danger rears its head, he comes to rely on Jane’s practical nature, her outspoken ways to navigate the waters of fatherhood. And when necessity dictates he take a wife, thoughts turn to an unlikely governess who might make the perfect bride. The saucy Yvette de Maupassant is used to danger. She’s spent the last 10 years spying for England in Napoleon’s court. Now that her work has been discovered, she must hide, and what better place than the remote wooded estate of the Earl of Carrolton? Her friend Miss Thorn and that delightful cat Fortune place her in a position where she can pretend to be companion to the earl’s sickly mother. Yet one look at the earl has Yvette rethinking why she wants to stay. Gregory, Earl of Carrolton, is used to power. So why does one moment in the company of his mother and spinster sister leave him feeling powerless? And why does the look in a certain Frenchwoman’s eyes leave him weak at the knees? 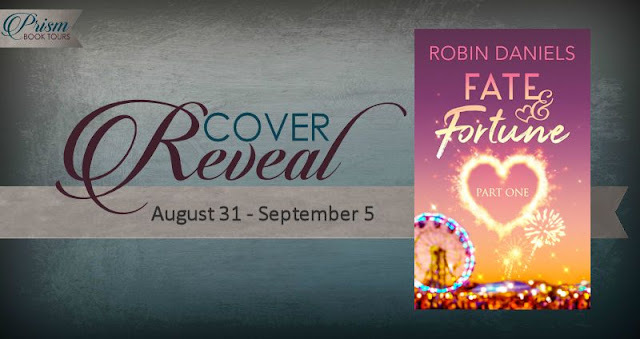 As danger draws closer, Gregory and Yvette must work together to protect her, his family, and the future of England, as they discover the greatest danger and delight is falling in love. Lydia Villers is determined to leave behind her life as a social butterfly and do what she's always dreamed of doing--pursue a career in science. 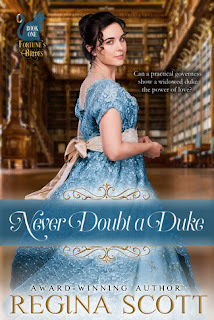 A shame the only scientist willing to assist her is the one man she had once hoped to wed. Frederick, Viscount Worthington, Worth to his friends, has been betrayed once too often. How can he believe Lydia's intentions are true? 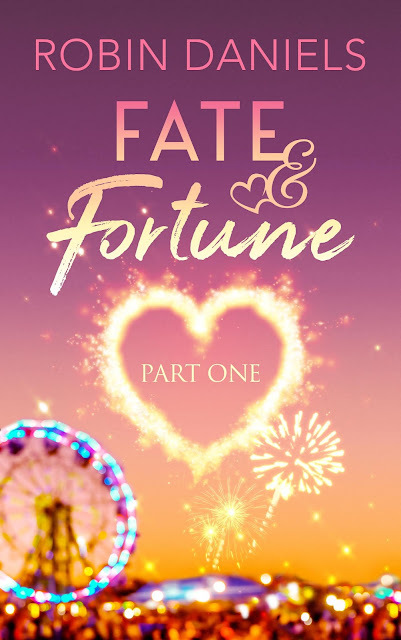 With the help of Miss Thorn and her beloved cat Fortune, a determined young lady and a jaded lord might just discover that only together do they make the perfect chemistry. Your children don't see the Holy Ghost, but that doesn't mean they can't feel His presence. 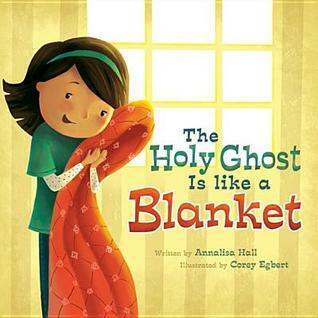 With heart-warming illustrations, The Holy Ghost Is Like a Blanket depicts characteristics of the Holy Ghost by comparing them to objects children remember and relate to. These meaningful analogies will help your little ones recognize the Holy Ghost as a real influence in their lives. I think it's so great that the publisher created another version of this book! The original featured a girl in the illustrations, with her father, mother, and baby brother. 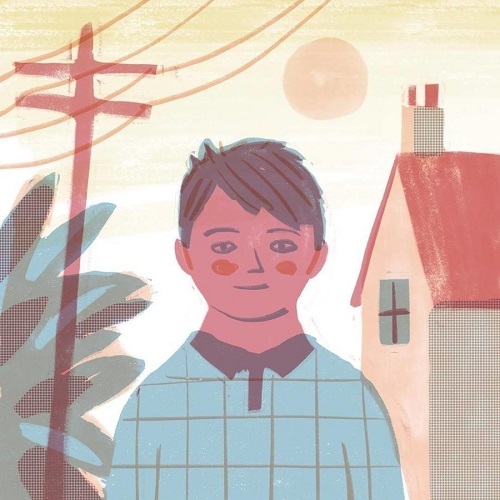 In this new "boy version", the young boy is now the featured character, with his father, mother and older sister. The text is the same and pictures are subtly changed- the older sister is posed where the baby used to be, and the mother's hair is softer with more of a wave. It was fun to compare the two books and look for the differences! The content is wonderful, I loved the examples used to describe the Holy Ghost and the way we feel the Spirit. There are references at the end for each example with a small image from the book, 1-2 scripture verses from the Bible, Book of Mormon, Doctrine & Covenants and Pearl of Great Price, and a song from The Children's Songbook. I can see this being used for a Family Home Evening lesson and creative activity using the examples in the book! 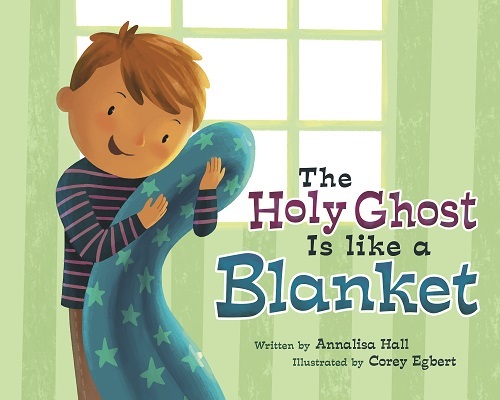 The Holy Ghost is Like a Blanket is perfect for children of all ages, and would make a lovely gift for a child preparing for baptism. Check out the original publication with a girl in the illustrations . 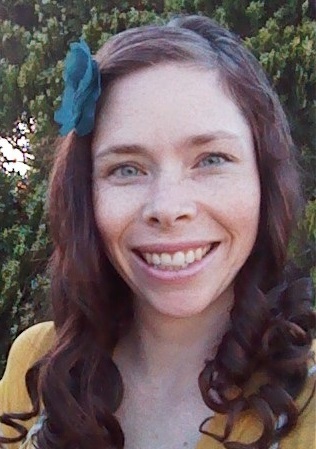 . .
Annalisa Hall is an author, blogger, ldsbc & byu grad, wife, fast-paced helpmate, mother of three, mom-prenuer, child of God, amazing friend, sewing extraordinaire, ready reader, efficient secretary, glorified storyteller, poetess, busy homemaker, an "aunt anna" 39 times over, a great aunt (as in my niece has a baby girl), lame cook, better baker, great primary teacher, proud visiting teacher, green thumbkin, thrifty shopper, tip junkie, lego queen, airsoft enthusiast, graphic designer, eco-friendly house cleaner, chauffeur, hubby's best friend, and fanatic. Corey Egbert has always loved books and art, so when he discovered that he could create both at the same time by being an illustrator, he couldn't have been happier. His illustrations can be seen in The Niuhi Shark Saga books and the album covers of recording artist Rob Taylor. He lives in Manti, Utah with his wife Natalya, son Oliver, and their cat, Rex. 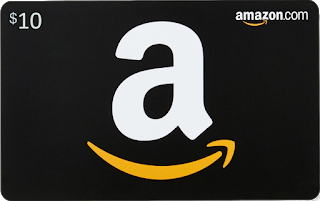 Lazy Days of Summer Giveaway Hop! Lazy Days of August Giveaway Hop!